At least in the US, air conditioning / heating tends to be on the loud side, since the AC unit is mounted directly inside the room. Often times I resort to turning it off for the night to make sure I can get some quiet sleep. This is an issue in both cheap and middle class hotels - not sure if 5-star places have the same noise problems. What's the reason behind this frequent problem? Is there a general expectation that such noise would not be an issue for most guests? Pictures were requested in the comments, so here's examples of what I'm talking about: one, two. 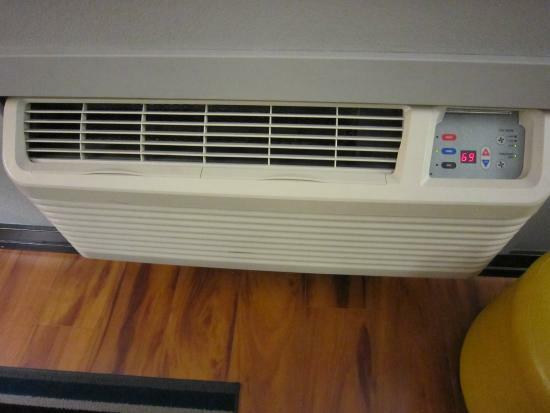 The "mini-split" units which are more common in Europe, where the compressor is outside the unit, are much more expensive up front than the cheap window units or floor units found in typical midrange or budget American properties. They also cost more to install. Mini-split: $600 for the dead cheapest, plus likely drywall work. 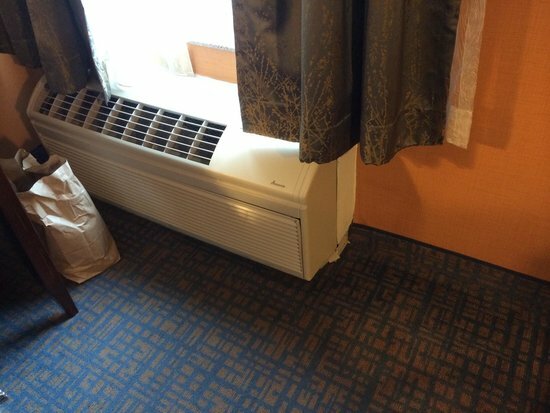 Well this is an air conditioning issue : cheap hotels use mono block air conditionning units, as it's cheap ! if you mount a monoblock A/C outside, it will disappear quickly - they are relatively cheap, but still worth stealing. It depends on the position of the unit. High class hotels give special attention the the house while middle class hotels might not have sound proofing it take the sound into account.